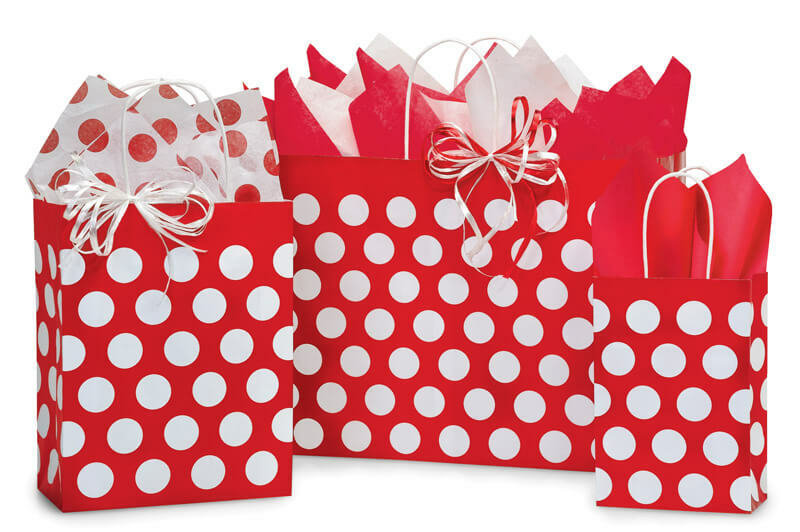 Vogue Red Polka Dots Recycled 250 Bags 16x6x12-1/2"
Vogue size Red Polka Dots Shopping Bags by the carton are made from 100% recycled white kraft paper. Green Way® Eco-Friendly Packaging. Bags are 100% recyclable and contain minimum 40% post consumer recycled content. Made in the USA. Great for Christmas or Valentine packaging! 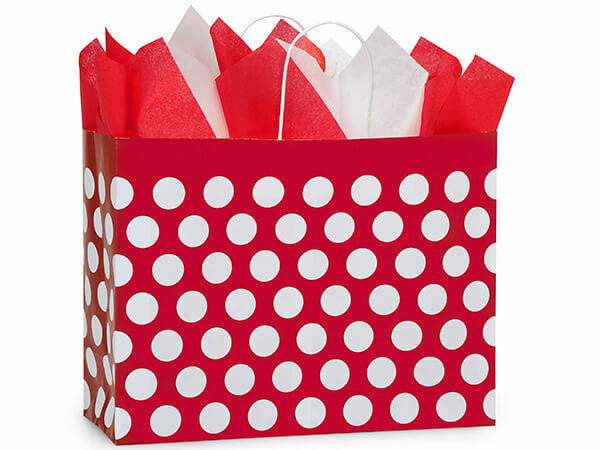 Fun polka dot bags are made from 100% recycled white kraft paper. Bags are 100% recyclable and contain minimum 40% PCW content and carry the Green Way ® logo. These bags are legal for use in most states. Bags have white paper twist handles and are available in bulk cartons, small packs and an assortment. Individually UPC coded for easy resale. Made in the USA.